SEBLOD 1.x has a unique template engine in the world of Joomla. The template engine is based on the template engine of Joomla that is largely responsible for the success of commercial templates. Template engine of SEBLOD 1.x inherits directly from Joomla template engine and so it integrate natively next update of Joomla template engine. 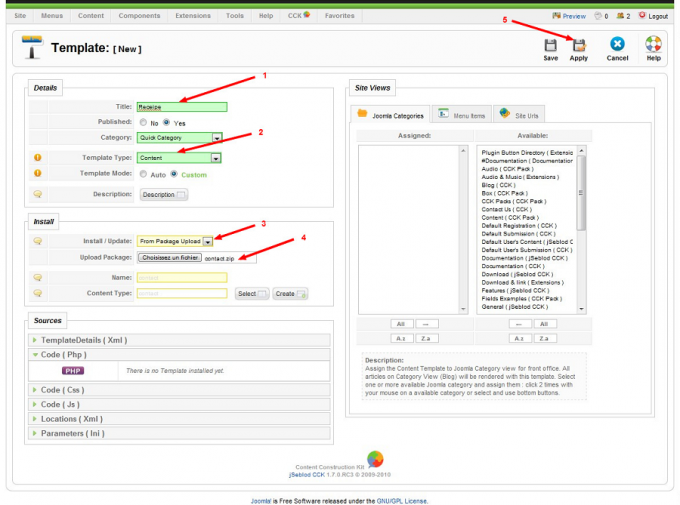 Templates of SEBLOD 1.x manage layouts of contents, forms and lists. 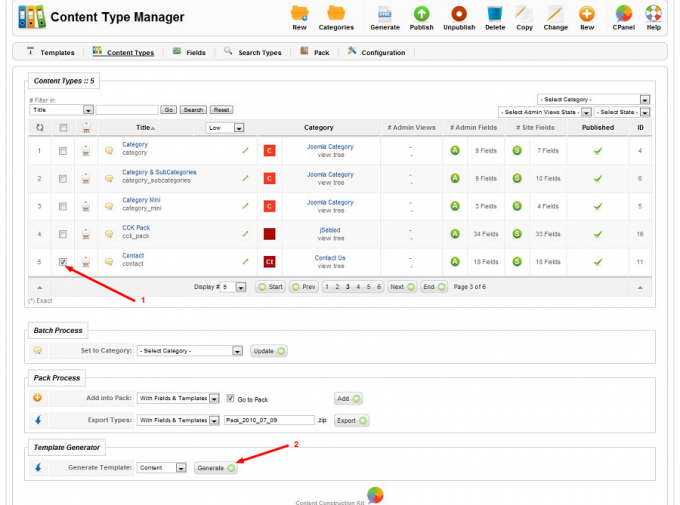 Assign admin, site and content default template by editing the content type. For beginning use only automatic template like "Default Form" template (for admin and/or site form) and "Default Content" template (to display content). 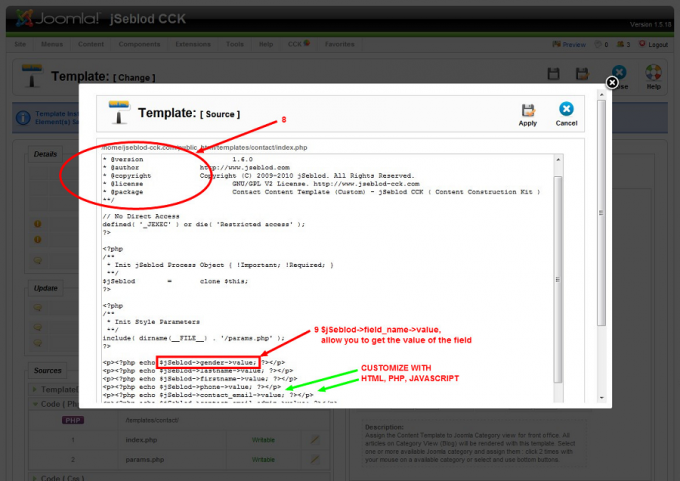 Use the Template Generator on the bottom of content type list in SEBLOD 1.x administration. Check your content type. In the template generator, select "content" and click on Generate button. Go to SEBLOD 1.x template manager and click on new button. 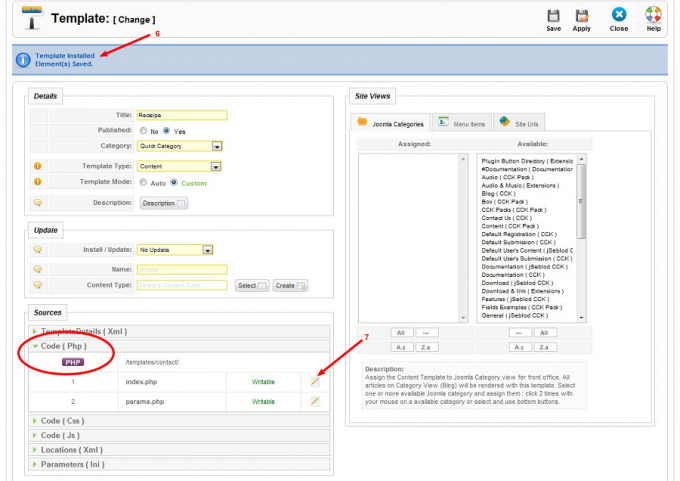 Write a title 1, select "content" template type and custom template mode 2. "Install / Update" parameter must be on "From Package Upload" 3. Select the template file downloaded on your computer with Upload Package parameter 4 (name parameter will be automatically filled, it's define during template generator and use in xml file). Template is installed 6. Edit the index.php file 7. Click on Apply and close the lightbox. 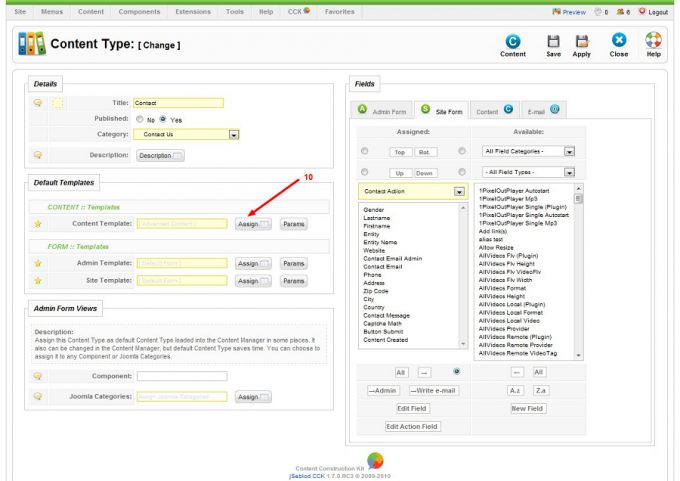 Go on content type manager, select the content type which correspond to this custom template, edit it and assign your custom template as default content template 10. Call in custom content template any attribute of a field, the value of the field but label, description, maxlenght, style too... This list is not complete. * see html typography, example for a upload image field img src="/*value*" alt="*title*"
User Core $this->user->attribute, if user is logged! * 2 deep levels: if a current article called a first external article and this first external article called a second external article, you can get in the current article a field value of the second external article.